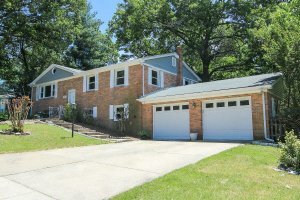 We buy houses in Chillum and around MD. Let us make a fair all-cash offer on your house. We Buy Houses In Chillum, MD In Any Condition – Price Range – Or Neighborhood! We’ll Get Your Chillum, MD House Sold FAST! Need to sell your house NOW? It doesn’t matter what the condition of your house is. If you need to get it sold fast, we can make that happen. We buy houses in Chillum, MD – AS IS and without delay. SELLING YOUR HOUSE HAS NEVER BEEN EASIER. We know when you need to sell your house fast, it can stress you out, but we make it quick and painless. After a short phone call or visit to your house, we will give you a fair and easy to understand offer. If acceptable, all you need to do is tell us when you would like to close, and we will schedule it. You don’t even need to come back to the house, just bring your keys to closing and collect your check. We live in the area, and we’ll meet you at your property, on your schedule, to make sure you get the honest assistance you need. TRUST US! Chillum, MD residents have come to know us as the local and honest people for buying houses AS IS and FAST. Instead of dealing with corporations and call centers, deal with people who actually know your neighborhood and respect your privacy. Besides being prompt and respectful of your time, we make the process easy for you. We GUARANTEE our offer and can have a check in your hand as quickly as 5 days. When we say we buy houses in Chillum, MD, FAIR we mean it. We’re known for making better offers than other buyers in the area. There are lots of situations where we can help, including divorce, relocating, inheriting an unwanted property, owning a vacant home, being upside down in your mortgage, owing liens, downsizing and can’t sell your home, needing repairs you can’t pay for, and more. If there’s a sense of urgency to sell your home, or it needs extensive repairs, hiring an agent or doing it yourself isn’t the way to go. Why? Because things like countless repairs, piles of paperwork, back and forth communication between buyers and agents, and deals that don’t go through can seriously slow you down. Not to mention the agent will take big chunk of your money at the end of it all. If your property has fire damage, has suffered abuse from poor tenants, or needs lots of repairs, NO NEED TO WORRY. We will buy it AS IS and repair the property ourselves. If you need to sell quickly, we’ll make it happen. While it typically takes 45 – 60 days to close with a real estate agent, we can close as quickly as 5 days. We make it simple. We put you in complete control of the sale process. All you have to do is fill out the information form below and hit submit. We’ll call you within 2 hours. Or, if you prefer to talk to someone in our office before submitting your property information just give us a call today at 202-846-0285. Why Won’t My House Sell In Chillum? I Inherited a House, What To Do? – Should I rent or sell in Chillum? Help, I’m behind in my mortgage payments in Chillum!